The Antarctic climate system varies on time scales from sub-annual to millennial and is closely coupled to other parts of the global climate system. 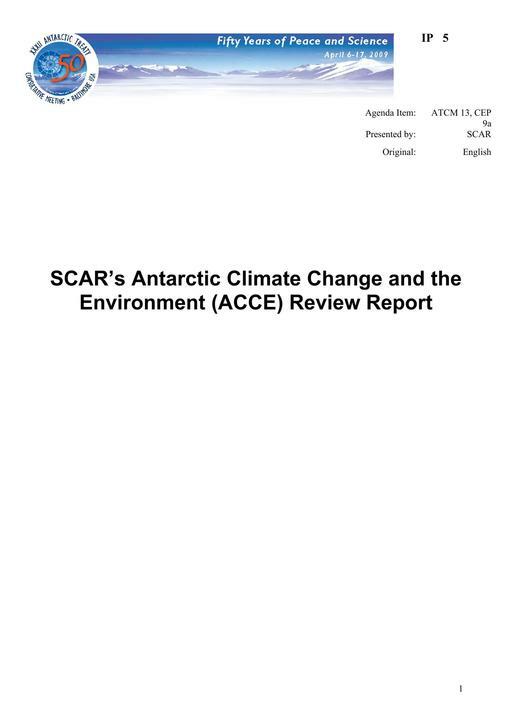 The Antarctic Climate Change and the Environment review discusses these variations in the geological timeframe and over the last 50 years, discusses their consequences for the biosphere, and shows how the latest numerical models project change into the future, taking into account human interference in the form of the release of greenhouse gases and chlorofluorcarbons into the atmosphere. For recommendations relevant to the Treaty Parties, see paragraphs 78 - 81.